Current study aimed to analyze the synergistic killing of pathogenic Escherichia coli using camel lactoferrin from different Saudi camel clans and various antibiotics. Methods: using multiple microbiological and protein analysis techniques, the results were shown that the purified camel lactoferrins (cLfs) from different Saudi camel have strong antimicrobial potentials against two strains of E. coli. Although all cLfs were superior relative to human or bovine lactoferrins (hLf or bLf), there was no noticeable difference in the antimicrobial potentials of cLfs from different camel clans. The effects of antibiotics and cLfs were synergistic, indicating the superiority of using cLf-antibiotic combinations against E. coli growth. Since these combinations possessed distinguished synergy profiles, it is likely that they can be used to enhance the low efficacy of antibiotics, as well as to control the problems associated with bacterial resistance. Furthermore, these combinations can reduce the cost of cure of bacterial infections, especially in the developing countries. 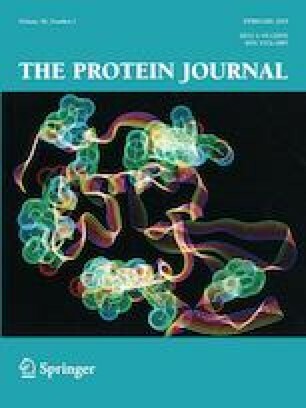 The analysis of the molecular mechanisms of lactoferrin action revealed that expression of several E. coli proteins was affected by the treatment with these antibacterial factors. Several proteins of different molecular weights interacting with cLf-biotin were found. Scanning and transmission electron microscopy analysis revealed the presence of noticeable morphological changes associated with the treatment of E. coli strains by antibiotic carbenicillin or cLf alone, and in combination. Camel lactoferrin has superior potential killing of E. coli over bovine and human lactoferrin, and this potential can be further synergistically enhanced of cLF is combined with antibiotics. The online version of this article ( https://doi.org/10.1007/s10930-019-09828-5) contains supplementary material, which is available to authorized users. EMR conceived the idea, supervised the project, organized and analyzed data, contributed to discussion, and with NAE-B wrote the manuscript and edited the manuscript. NAE-B did the experimental work, HAA, and AAA, VNU collected and analyzed data, contributed to discussion, and participated in writing and finalize the manuscript. This work was supported by the King Abdulaziz City for Science and Technology General Directorate of Research Grants Programs, under Grant No. LGP-35-84. The authors have no competing interests as defined by Nature Research, or other interests that might be perceived to influence the results and/or discussion reported in this paper.